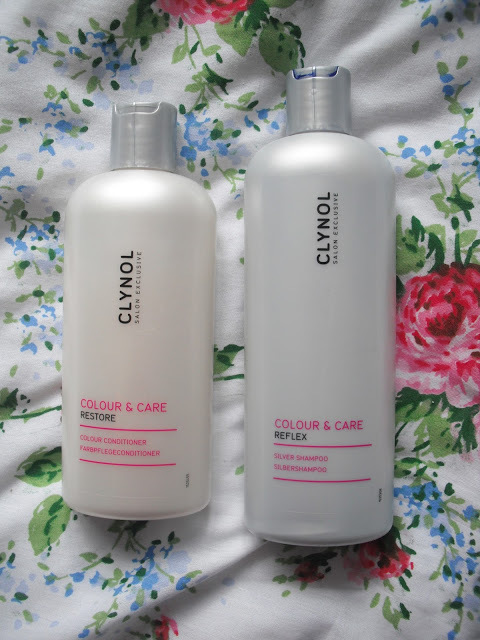 This month, HairTrade sent me two of the Clynol Colour & Care products from their haircare range. This range of products specially care for the colour of your hair, and are packed with colour-friendly ingredients to help shade preservation. The range contains a liquid jewel extract that gives diamond shine and helps colour stay rich for up to 30 washes. They also contain UV filters to protect and condition hair and prevent everyday shade fade. 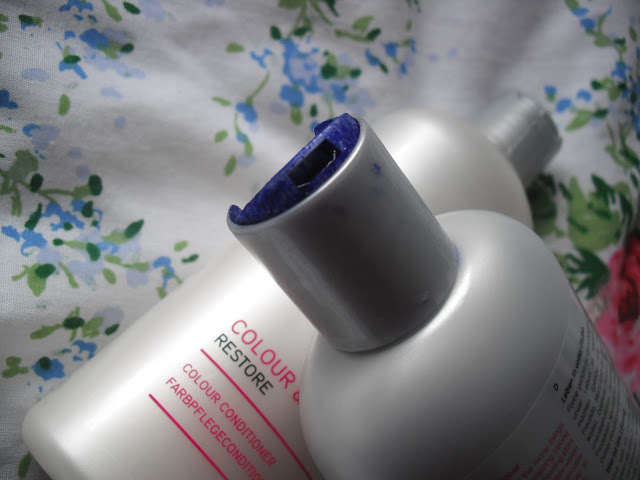 I got to try the Clynol Color & Care Restore Conditioner, and the Reflex Silver Shampoo. The conditioner has been designed to give long lasting brilliance, colour protection and healthy shine to colour treated hair. I found that it smoothed my hair, as well as detangling it, which made it easier to work with. 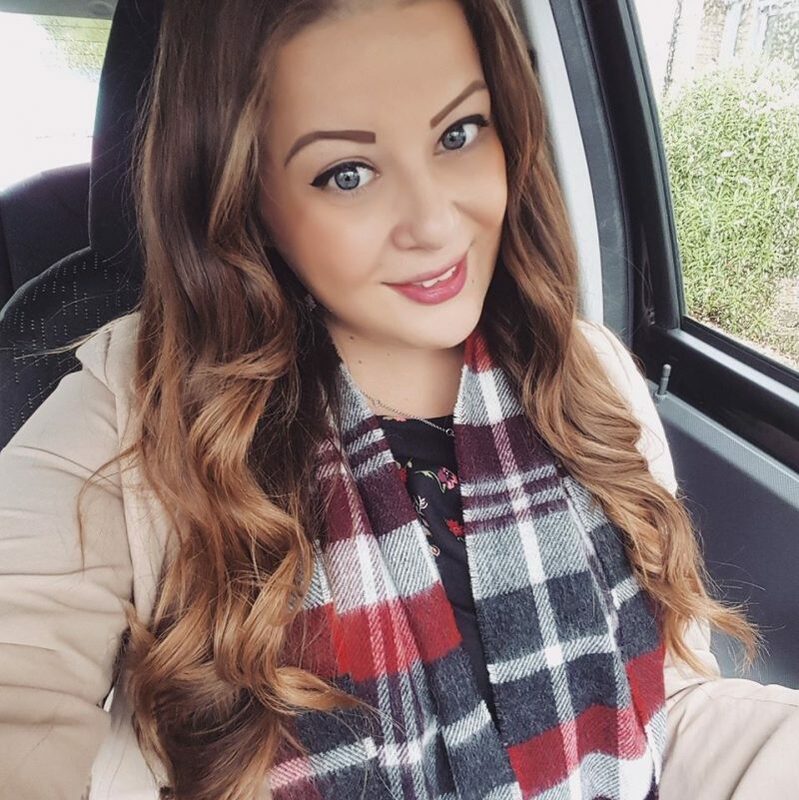 It contains apricot kernel oil which is apparently a deeply nourishing, enriching ingredient that protects hair from colour damage and smoothes the shaft of each strand for a gleaming finish. I did find that it left my hair lovely and soft after use. 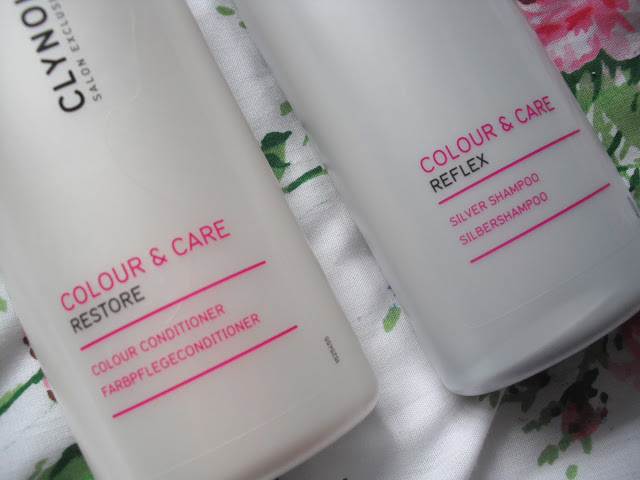 The Reflex Silver Shampoo is very interesting and I’ve not tried anything like it before. It is designed for white, grey or blonde hair. The fascinating thing about it, is that it is bright blue! A very deep royal blue. This is used to neutralise yellow tones, and helps keep colour fresh and vibrant. The violet colour pigment is used to dial up cool shades of silver and purify the white gold shine. It also contains natural ingredients to gently nourish hair. I love this shampoo, and I would recommend it to all blondes who want to keep their hair a cool colour, rather than a brassy yellow. The shampoo retails for £7.33, and the conditioner for £8.20 from HairTrade. This stuff sounds great – I've heard really good things about silver shampoo. You have such a cute blog, we are new followers and have put your badge on our site!